England have confirmed the squad for the men and women's World Cup Sevens competition that kicks-off later this month. Tom Mitchell will lead the men's squad in what will be his second World Cup Sevens and the squad comprises of 10 players from the side that clinched the bronze medal in the recent Gold Coast Commonwealth Games while six of them also represented team GB during the RIO Olympics. Mitchell will be accompanied by Mike Ellery, all-time leading try scorer Dan Norton and England's most-capped player in the format James Rodwell. The 12-member squad will also find a place for academy players - Will Edwards and Will Muir, who have graduated from Northumbria University to the sevens programme. 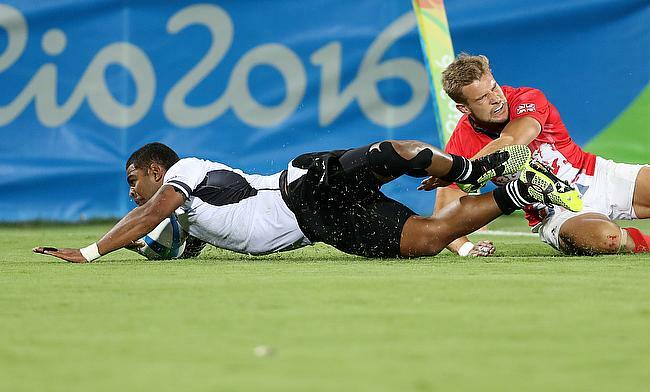 “We’ve selected a very exciting team for the Rugby World Cup Sevens,” said head of England Sevens Simon Amor. “There have been some outstanding performances across the board recently and this is backed up by the team’s consistency. Achieving five podium finishes since the Commonwealth Games demonstrates that we’re in a good place going into this World Cup. “We’ve got a very quick team and one that gives us lots of options in terms of the style of rugby that we can play, and we’re really looking forward to putting this into action in San Francisco." Meanwhile, the women's squad will be led by Abbie Brown and will have Emily Scarratt as her deputy. The squad also boasts of experience with nine members part of the bronze-winning side in the Commonwealth Games. “We have a very tight squad and the players’ willingness to work exceptionally hard for each other has been demonstrated consistently throughout the season,” said England Women Sevens head coach James Bailey. Both the tournaments will be played between 20th and 22nd July in San Francisco.